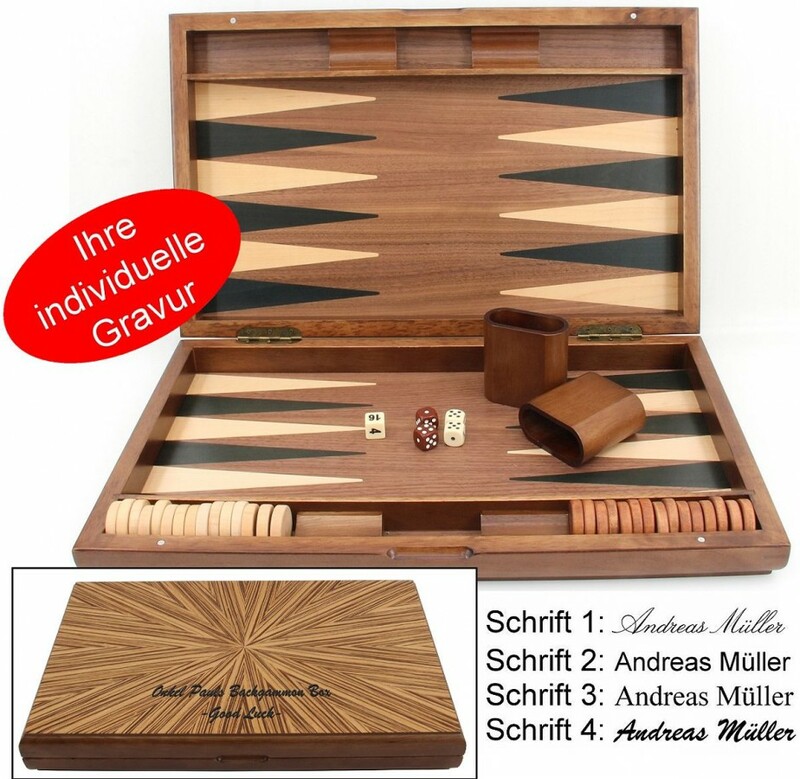 Fashionable backgammon Mykonos XL with approx. 490 x 300 x 66 mm (closed). Made of Hevea rubber tree, walnut stained with magnetic lock, gaming piece area and inlaid work. 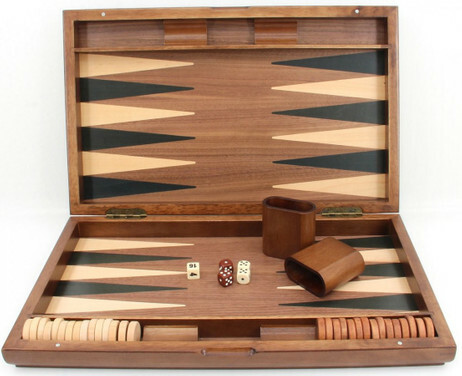 Contains of dice, dice cup, gaming pieces. Engraved item, great for presents.